* How cool is this? 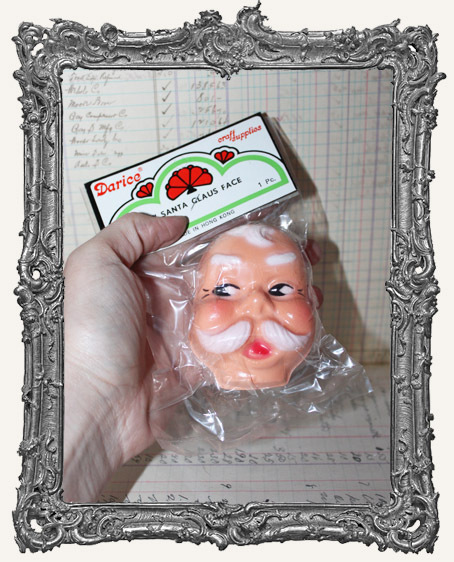 You will get ONE new in package mint condition vintage Santa Claus doll face. * Each measures 3" long. They are hollow on the back. Made of a hard plastic. 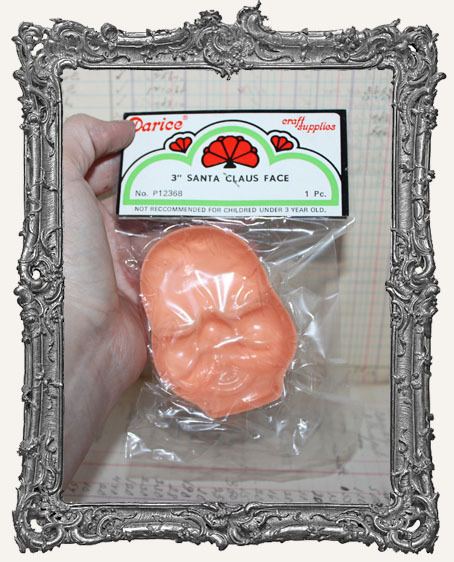 * Great for art dolls or kitschy ornaments! * Based on the "Made in Hong Kong" and some research, these are from the early 1950s so they are around 60 years old!